Whether you’re looking to forge lasting bonds within a new team, strengthen communication skills or boost team members’ confidence, clay shooting is a great team-building activity. The thrill of seeing the clay disc shatter into innumerable pieces after being struck with a perfectly-calculated shot is second to none, and getting there requires quick-thinking, lightning-fast reactions and the ability to keep a clear head under pressure. Although clay shooting is often a solitary pursuit, splitting each group of between 10 and 20 people (aged over 18) into two teams makes working together absolutely essential. 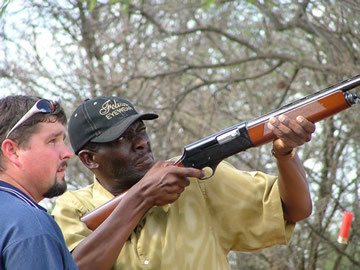 Mastering clay shooting isn’t easy, and team members have to help each other out and exchange tricks and tips in order to succeed. Scoring a perfect strike on the clay disc as it cuts through the air takes a steady aim and the confidence to squeeze the trigger at the right moment. With roars of encouragement behind them, new skills will emerge and the benefits of positive working relationships will fade into view.